Of all the rooms in a home, the kitchen is often considered to be the most important, given that our meals are cooked there and most of the stuff we eat or drink is stored there! Kitchens serve as nifty storage areas and often, with an adjoining dining table, can be used as dining areas too. 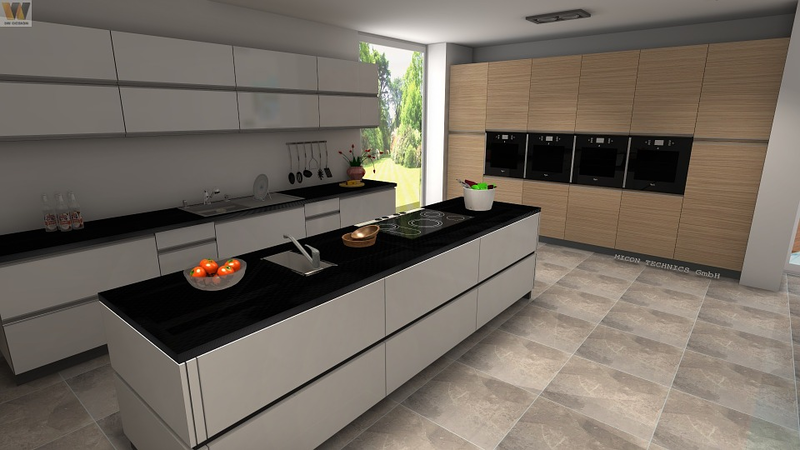 It is essential to have a well-designed kitchen that is functionally sound and aesthetically pleasing. One of the ways to ensure your kitchen does that both, is to keep abreast with the trends in Kitchen design and draw inspirations from them. Countertops make up for a large part of your kitchen and therefore the material must be chosen carefully. When it comes to India, granite is the most popular choice for countertops. Why is this? Well, the answer is simple - durability and easy stain removal. Cooking can be a messy affair, as we all know - especially if you have a teenager in the family who wants to learn how to cook! Thanks to granite's easy stain removal quality, parents can be rest assured that their countertop won't be scarred for life! Granite is also durable, and available in a variety of colours. Additionally, it is a low-maintenance material which complements almost all interior designing styles. Perhaps, the only thing granite requires is the application of a sealant. This is because granite has a porous nature and any water seeping in can cause growth of fungus or mildew. Other good options for kitchen countertops are marble or corian. Marble gives a very royal look to the kitchen, but is susceptible to scratches. It is also highly porous which can again lead to growth of fungus and mildew. In addition to this, marble is generally high-maintenance. Marble tends to lose colour due to exposure to extremely high temperatures. It is available in different qualities, and the expenses that you would incur upon installing it, would depend on the quality you opt for. If you want an option that is nonporous, choose Corian. Corian countertops are as popular as granite ones. They are non-porous and are also designed to withstand high temperatures. However, care must be taken as exposure to hot vessels can leave stains on the surface. It is quite resistant to scratches. 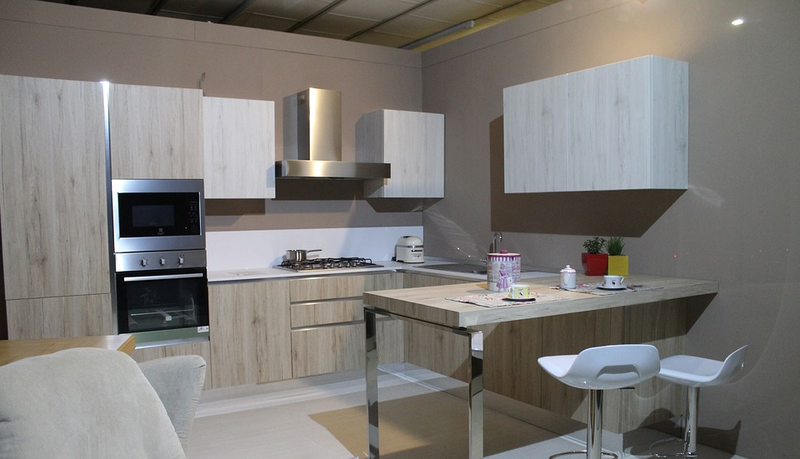 It is suitable to the modern kitchen as it has a seamless, matte finish and is even available in a variety of colours. Have you ever heard of stainless steel countertops? If you haven't, allow us to tell you a bit about this emerging trend. The rich, polished look of steel, along with its incomparable durability makes it a really good countertop option. In appearance, functionality as well as durability, it beats granite. 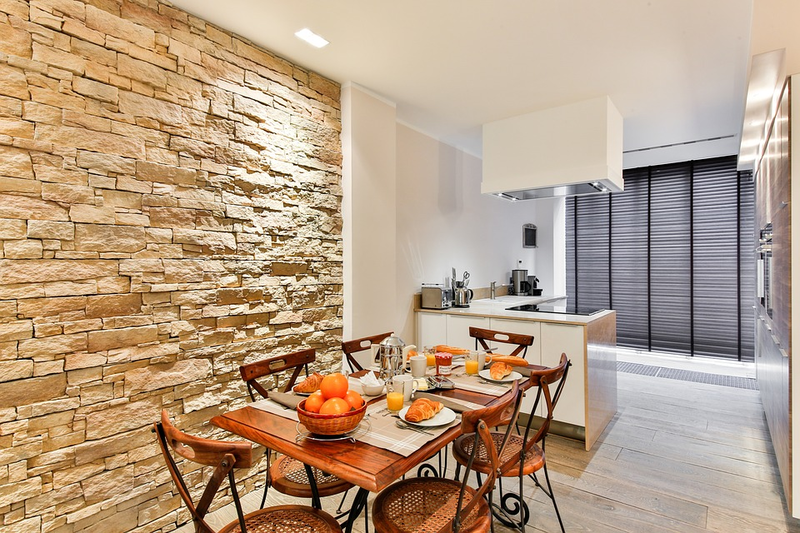 Steel countertops do not suit all interior design styles, and one would have to get used to vessels clanging against them. If you are familiar with cooking food, you know how much you chop on that countertop! And the problem arises when the countertop has to be cleaned after you're done chopping. Here's an easy way out! Extendable surfaces can be used for chopping vegetables and fruits, omitting the need to clean the countertop surface constantly. If you don't want to buy a cutting board and also don't want messy countertops every now and then, opt for extendable surfaces. If you have a small kitchen, it is important that the available space is utilised correctly. The last thing you want is a cluttered kitchen which you don't even feel like entering into, let alone cook in! And if you have a small kitchen, messy countertops can mar the appearance of even some of the most appropriately designed kitchen spaces. Here's an option for you to save up on kitchen space as well as make it look modern - door mounted racks. Door mounted racks are where the racks are mounted on doors inside the cabinets. Imagine the amount of space you would save! Appliances are an important part of every kitchen. Without them, it is almost impossible to cook food. 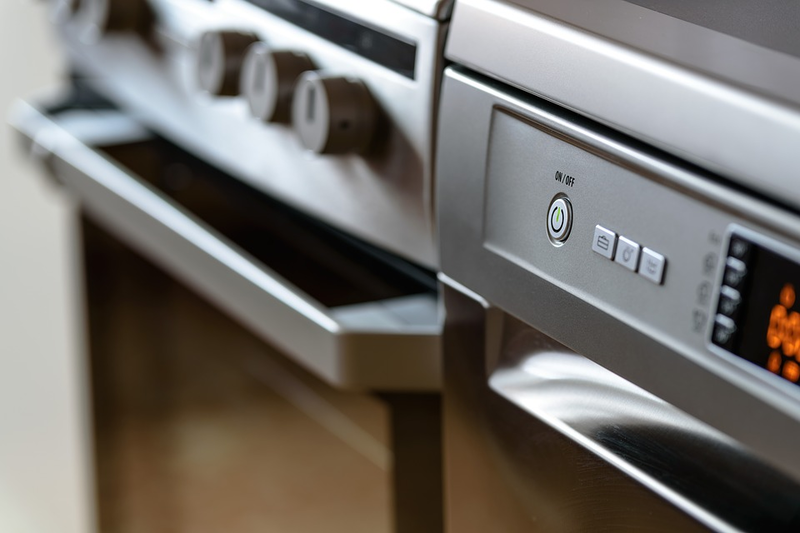 Instead of large kitchen appliances which need to be kept on counter tops, Indian homes have now started opting for appliances that are built-in. Whereby the kitchen cabinets and shelves are designed to accommodate the standard sizes of common appliances like ovens, food-processors and even refrigerators. The benefits of these appliances are many. They not only help in saving up space, but are also quite easy to maintain. Moreover, they complement all interior design styles. The downside is you will then have to stick to appliances which fit into those areas. Less is more - specially when it comes to interior designing. It's time to do away with those handles that consume space, occasionally graze your knees and sometimes, even come apart. Haven't we all been there, where trying to open a cabinet drawer forcefully led to the handle coming apart? And, what happened next? Panic and chaos. Isn't opting for a handleless, modern kitchen a much better idea? Basically in this, all the cabinets and drawers have a indented lining, which helps one grip and open them. It is in level with the surfaces and doesn't protrude out. With time, things change, and so do colour preferences. The most favoured choices for kitchens happen to be shades of gray, white and cream. If you are fond of strong colours, combining them with neutral hues works wonders! 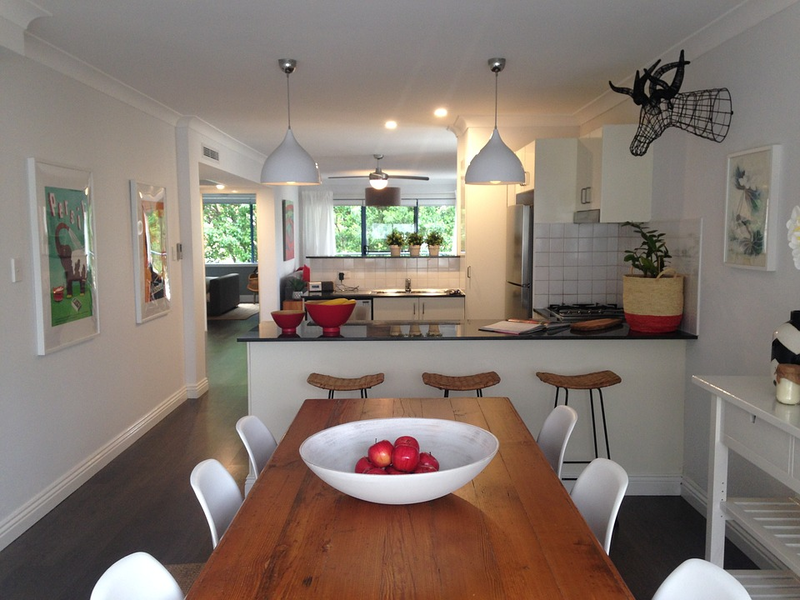 Another benefit of opting for white, is that your kitchen will appear bigger. Lighter shades created the illusion of space. Only thing, they also require frequent cleaning, since the kitchen is a place which tends to get dirty pretty regularly, and white or lighter colours would mean, they require cleaning more frequently. Moving away from the traditional kitchens, modern kitchens are better-lit, with a lot of homeowners opting for well-lit cabinetry. Even the section above the gas-stoves tend to have a dedicated light source. Indirect lighting is also preferred, where luminaires are suspended from the ceiling or mounted on the walls, and distribute light mainly upwards, so it gets reflected off the ceiling or the walls. If you too wish to have a trendy kitchen space, give Hipcouch's Expert Interior Designers a call or Book A FREE Consultation With Us. And, as promised, here's a quick an cool visual guide you can refer to quickly go through the various trends in Kitchen Interior Designs in India. Older PostHow To Pick The Right Flooring For Your Interiors? 5 Things To Keep In Mind!